As part of its research into preventing avalanches, the Institute for Snow and Avalanche Research in Switzerland has a deep understanding of the structure of snow and ice crystals. Which Nestle realized could also be applied to improving the shelf-life of ice cream. 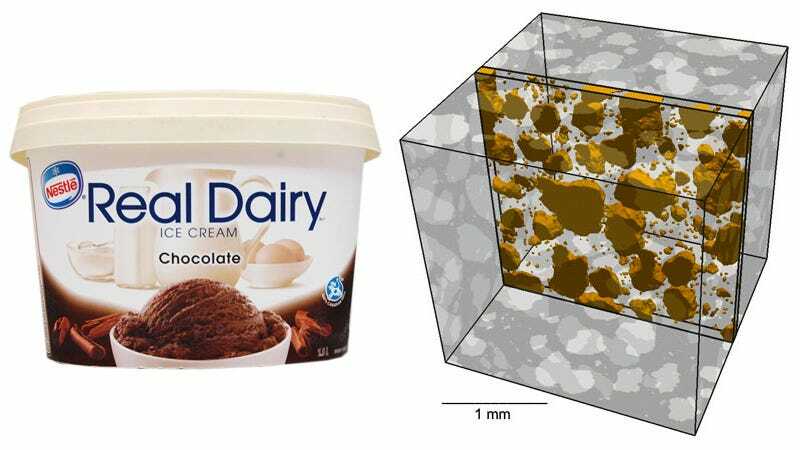 It might seem like a frivolous use of the institute's research—and its fancy x-ray tomography machine—but these facilities have allowed Nestle to study how ice crystals in its frozen treats change shape over time, changing its consistency and just making it downright unpleasant to eat. You might have noticed that ice cream that's been left in the freezer for a long time develops a coarse and chewy texture. And that's because the constant temperature cycling in your freezer as it tries to maintain a set level causes ice crystals in the ice cream to slowly merge together. Essentially making it more icy, less creamy, and gross.